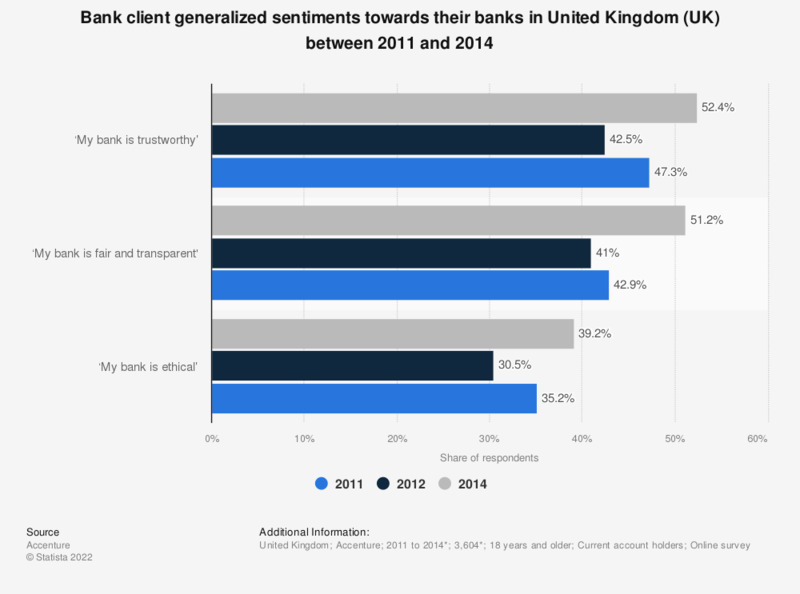 This statistic presents figures for client sentiments towards various aspects of their current account provider services between 2011 and 2014 in the United Kingdom. As of 2014, over half of respondents agreed that their bank was "fair and transparent" (51.2 percent) and "trustworthy" (52.4 percent), which was overall an improvement in comparison to previous years. What ethics and compliance training objectives are most important to your organization today? United States: How would you rate the honesty and the ethical standards of people working in these different fields?